I tried to look for an image on google with a human being that would be perfect for the header visual but alas, I had to content myself with this gorgeous vector rose from onemillionwallpapers.com, lol. When I read this post, and even till now, I don't think the beautiful have problems. Prove me wrong and I'll take away that statement. I find this funny and sensible but not sure if I believe it is the truth. If you watch TED and have come across the talk by Cameron Russell, you'll tilt your head in agreement with me and tilt your head the other way in agreement with her. Note how the beautiful is qualified with 'very'? It sounds paradoxical to talk of the problems of being beautiful, when we’re so alive to all the advantages that go with possessing sculpted cheekbones, copious amounts of hair, an ideal nose, long, slender legs and well-moulded ankles. But the subject is necessary and legitimate, because beauty is not in fact problem-free. 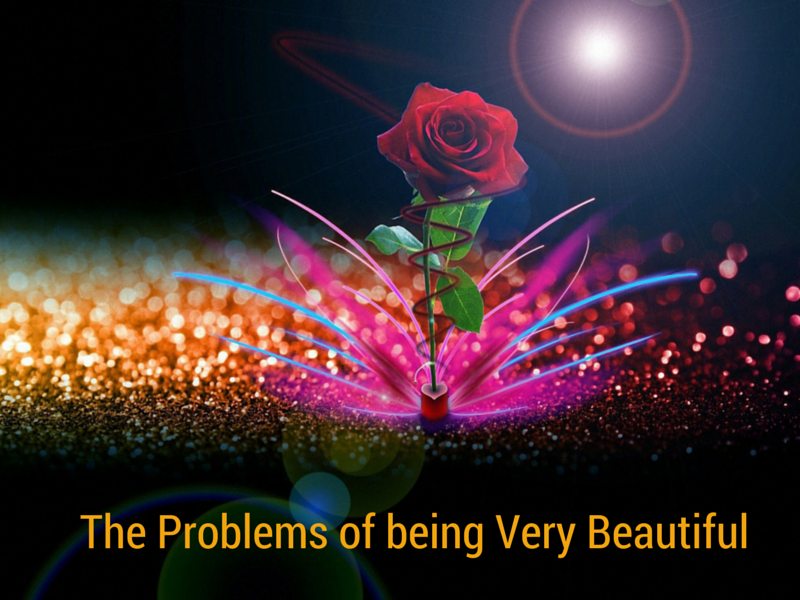 There are a range of ailments (too little discussed) that go with being extremely beautiful. Here are seven of the greatest. Not absolutely always, of course. No one is. But the temptation to be boring is great – and it’s not your fault at all. It’s just that, since you were 12, there has always been a party that people were begging you to go to. You’ve almost never had to begin a conversation. Others have always been on hand to entertain you. You’ve not had much chance just to be on your own, with nothing much to do other than fall back on an exploration of your own psyche. You’ve never known the fruitful ravages of self-hatred. There has been no need to charm others with words – and no pressure to overcome their scepticism with humour or acute observations. Indeed, you’ve often wanted to put people off. Being a bit boring has in fact been a survival strategy. It is the only way to stop people pestering you. Not deliberately at all. In fact, it’s horrible to discover that really nice people who don’t look very nice (the majority of humanity) are terrified of approaching you. It’s a weird thing to find you have this effect. You’d really like that quiet person in the corner to dare to come and say hi: they’re kind, good natured and (when they finally relax) very funny – but they know they look a bit of a frump and don’t want to be reminded of the fact by standing near you. In a different life you could be great friends, even lovers. Just not in this one. They freeze when they catch sight of your radiant eyes, perfect profile and incredibly elegant hands. Even if it’s not quite what you want, the people it’s easiest to pair up with are other beautiful types. No wonder your relationships can be very dull indeed. Anyone would be thrilled to be your lover. You’ve not been single for longer than a few months ever. In your adult life, you’ve not faced rejection in any serious way. Who could ever take their leave? Yet, weirdly, it’s often through difficult experiences that we grow to maturity. They’re painful, but necessary. They force us to develop compensating resources: we become stronger, more resilient; we learn compassion; we get more appreciative of small things. It’s not your fault, but you’ve been a little spoilt. In bed, you’re always wondering: ‘is it me or is it my body they want?’ You want to be loved for the whole of who you are. But your exterior is so fantastic, it overshadows anything else; people just can’t ignore it. You want to be appreciated for your take on the French novel, your loyalty to your troubled sister, your views on the future of the left. But even when people say the right things, the fears won’t go away. They make too much sense. They don’t wait to find out. Their imaginations simply refuse to picture you carefully unpicking a page of Hegel or analysing the state of the Swedish economy. They like the idea of you being a bit dim. There seems to be a prejudice against combining outstanding qualities: you just can’t be that beautiful and understand nuclear physics. That would be too much good fortune ending up in the one place. Everyone insists you can’t be very intelligent. Fortune – people feel – has smiled on you already. You can’t need anything. Your are a magnet for envy: a fair few people like finding fault with you. They feel that you need to be shown you are nothing special (though you never claimed to be). They are using you to vent their frustrations with life in general. You’re fair game – you are too beautiful, they think, ever to be hurt. You have this rare thing: your body is ideal. For now. That’s why getting older terrifies you a lot. (Yesterday you found another wrinkle. Your left knee twinges when you climb the stairs). You have so much to lose. You’ll look in the mirror and foresee a wreck. From being so high, the fall will be harder. Fortunately, the problems of the very beautiful are transient. Thankfully, no one stays long at the peak of loveliness. Time will take your troubles away. In a few years, almost certainly, your looks will have lost their uncanny perfection; your physique will shed its grace. You will be nice enough looking, but you will no longer be one of the outstandingly attractive ones – and you will no longer share in their unique, but very real and very under-appreciated, problems.